Anime – Just for Children? I ask for your indulgence for my intrusion on this wonderful site. I have only recently discovered Anime, and I admit that I was reluctant at first. I started watching on the recommendation of my friends (the other Senshi on this site). I thought watching was a good way to re-claim my innocence and nurture my Inner Child. Once I began watching, I found myself amazed at how deep these shows were on a metaphysical level, and I have been watching with even more interest as an adult. I have found them extremely valuable in my studies. One might ask, what do animated children’s show have to offer in the study of metaphysics? Should not one learn these important concepts through serious writers such as René Guénon or through books such as The Feminine Universe. Should we not be studying Plato and Ptolemy to teach us these concepts? Is that not a better way to learn metaphysics? I am not suggesting replacing adult studies of these subjects with Anime, but I think that Anime provides an important supplement that teaches in a way that more cerebral studies can not. The difficulty for Western adults is that we have been taught a doctrinally rationalist world view from early childhood. When we study subjects such as metaphysics and astrology, we tend to do so as Modern Westerners. We really have as much to unlearn as to learn. There are basics that we have missed. In learning these subjects on an adult level, we are trying to learn a language without having learned basic vocabulary and syntax. Japan (and the East in general) did not go through the movement into rationalism that the West did. Of course, Western thought has found its way into the East and into Japan, but there is not hundreds (and thousands) of years of development of rationalist philosophy as there is in the West. There are matters treated in these supposed children’s shows that confound even very learned Western scholars. 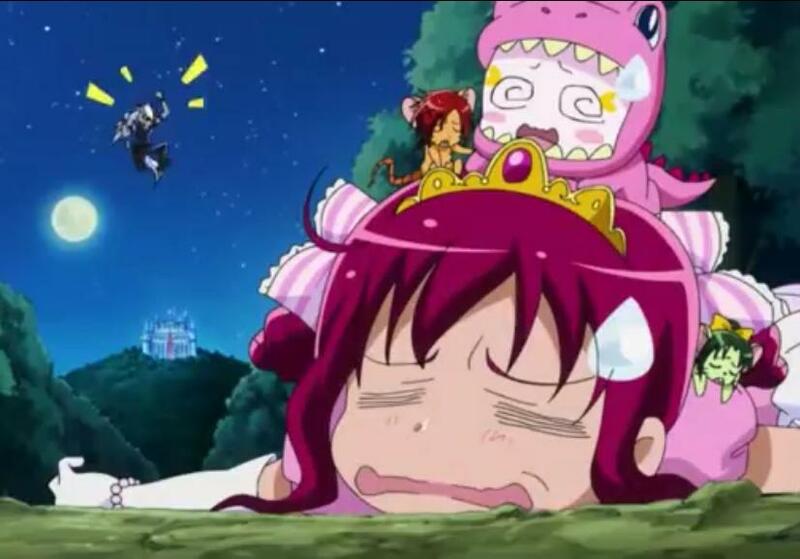 An example of this is contained in Episode 39 of Smile Precure. 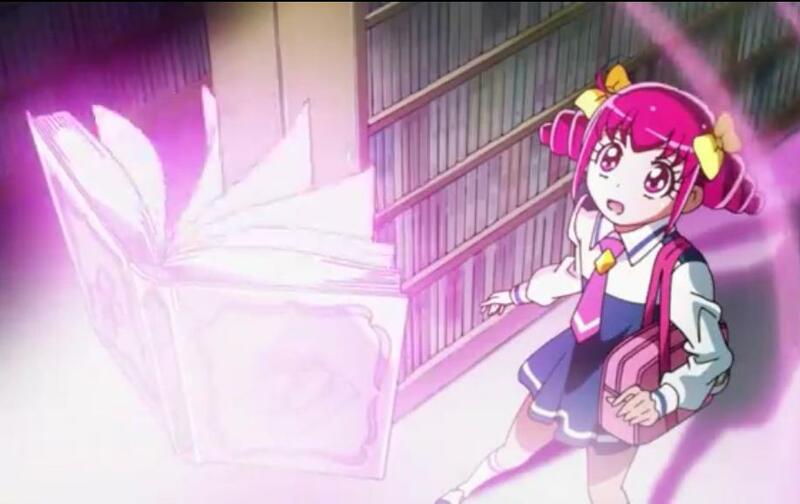 In this episode, Miyuki-chan (Cure Happy) finds herself in the book which contains the Primordial Cinderella. 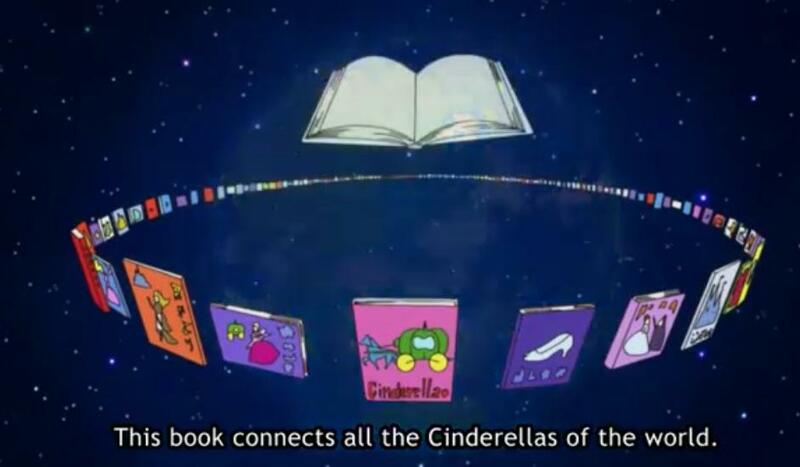 This is the Cinderella story from which all Cinderella stories are derived. 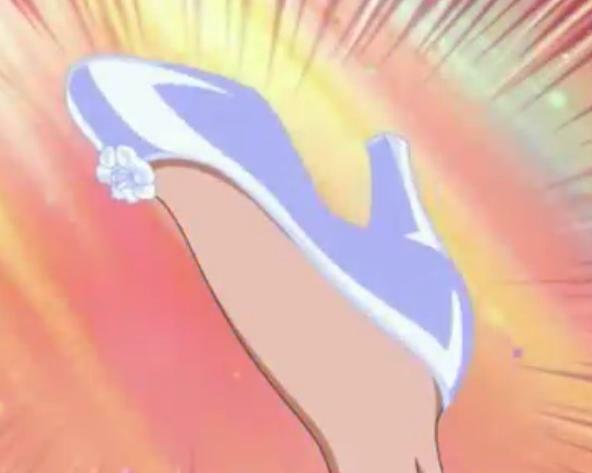 Cure Happy (and the other girls) had to preserve the essential elements of the story: the wicked stepmother and stepsisters, the ball, dancing with the Prince, leaving at midnight, the glass slipper, and the glass slipper fitting the foot of Cinderella. Other details of the story were changed due to interference by the Bad Enders and other mishaps. The fact that the non-essential details of the story were changed did not cause any difficulties so long as the essential elements were preserved. Of course, having an adult understanding of these principles is good and helpful, but I also think that watching these shows helps to really reshape our thinking and to bring these concepts home on a very deep level. They can help provide us the syntax and grammar that we did not get in a Western education. So, please forgive me if I have introduced an overly serious element to this site. It is perfectly good and acceptable to just watch Anime for fun. For serious students of traditional sciences and metaphysics, however, Anime can also provide good, solid grounding in Traditional and Essentialist philosophy, which are valuable supplements for our studies.